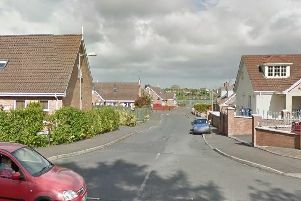 Although he was warned about his behaviour a 24-year-old man continued to be disorderly in a Portadown street and was then arrested by police. Marc McMillan, Willow Dean, Markethill, was fined £150 for the offence last Wednesday at Craigavon Magistrates Court. The court heard that on June 24 this year at 1.20am in Mandeville Street in Portadown McMillan came out of as pub and was shouting and swearing. Police warned him about his behaviour but he failed to stop. At the same court McMillan was fined £75, ordered to pay a £15 offender’s levy and banned for six months for an excess speed offence. He was also fined £100 and given a concurrent six month ban for not having a licence. The court heard he was detected driving a van at 52mph in a 40mph zone on the Mahon Road, Portadown, on March 26. He failed to produce his licence to police. McMillan did not appear in court and was convicted in his absence.